Fresh Pico de Gallo is a staple for Mexican and TexMex meals. 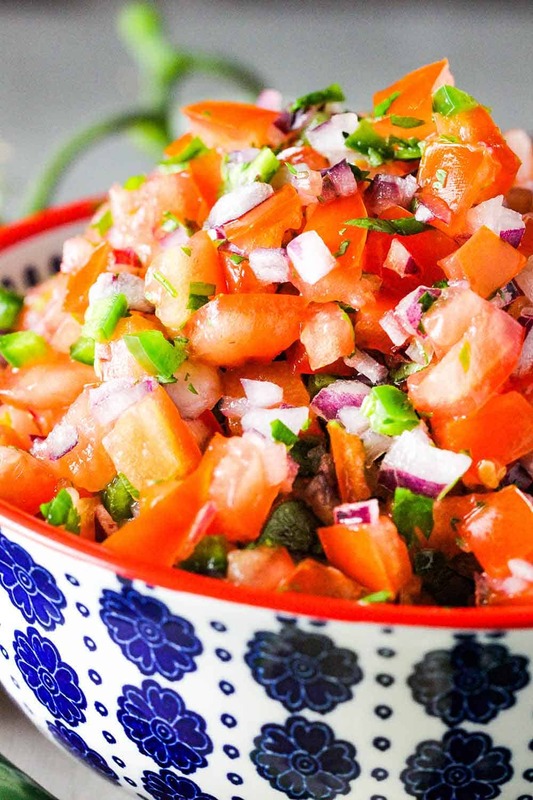 Pico de Gallo has been around for generations and is steeped in history. 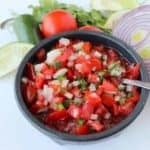 Fresh tomatoes, some finely chopped white (or red)onion, jalapeno, cilantro and lime brings this Mexican condiment to life! Simply diced the vegetables and add the lime juice and salt. The colors are so vibrant and beautiful. I can’t imagine having fajitas with out Pico de Gallo. Or enchiladas. Or tacos. Or quesadillas. Well, fresh this mild salsa brings almost brings ANY dish to life! This really awesome in the summertime when tomatoes are in their prime. Juicy and vibrant, and so delicious! Fresh cilantro deepens the flavors beautifully. 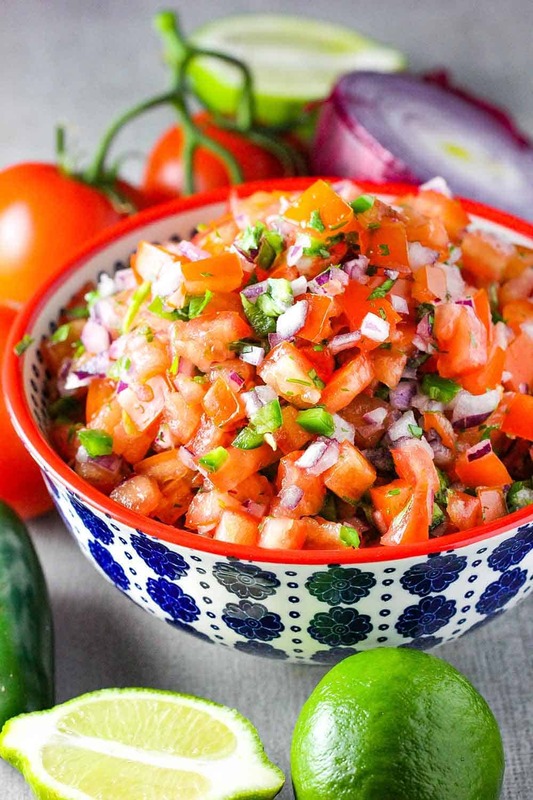 What makes Pico de Gallo so amazing is the fresh flavors that add zest and a freshness to your favorite Tex-Mex and Mexican dishes. 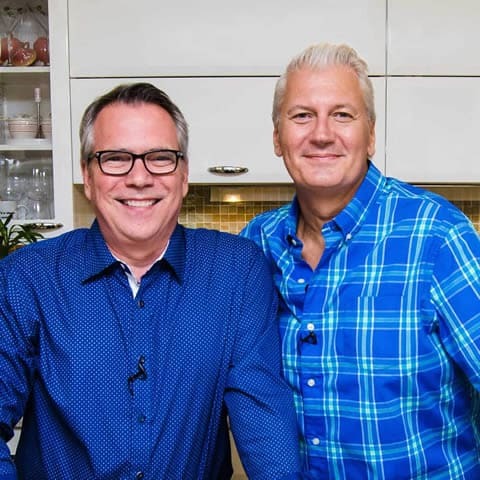 You can make it a day ahead of serving, just give it a nice stir with a fork or spoon, maybe one more squeeze of a fresh lime, just to wake it up, and you’re ready to go. As the pico de Gallo rests, juice will render. This is normal and good! 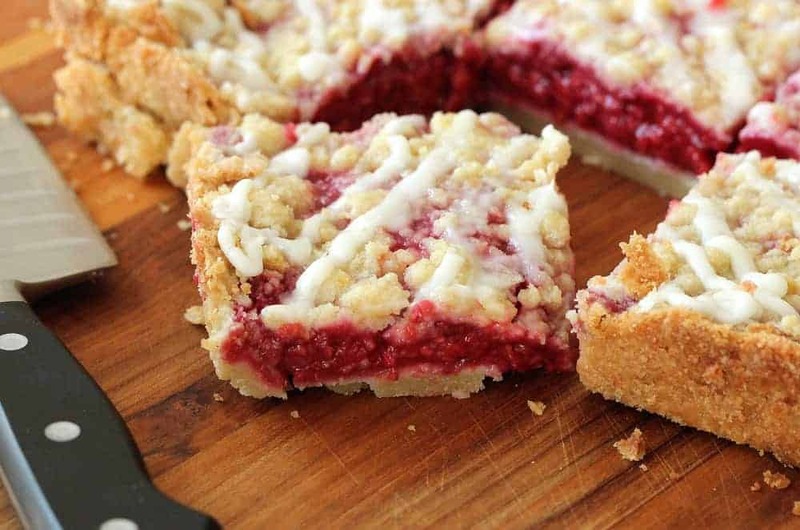 Simply use a slotted spoon when serving. 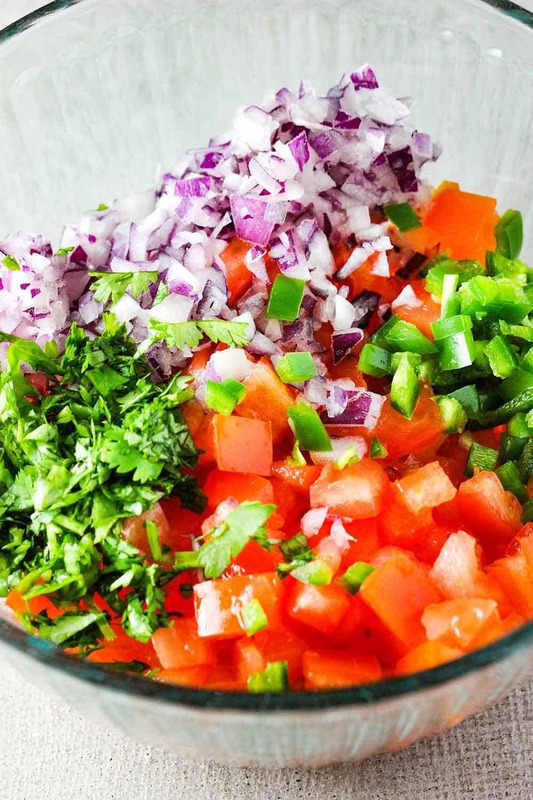 Now…go forth and make this awesome Fresh Pico de Gallo! 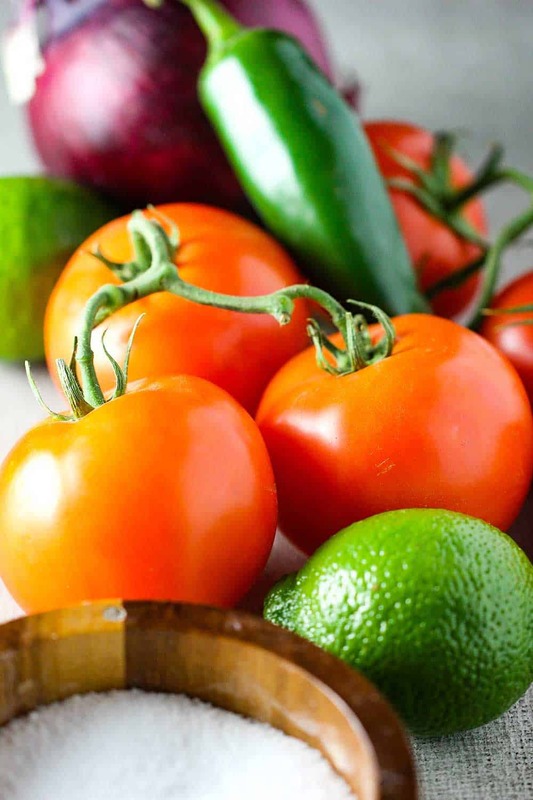 Fresh Pico de Gallo is a staple for all your favorite TexMex and Mexican dishes. Serve with warm chips or steaming hot fajitas. Ole! Mix the tomatoes, onion, pepper. Add the lime juice and the garlic salt. Best if allowed to sit for an hour or so.